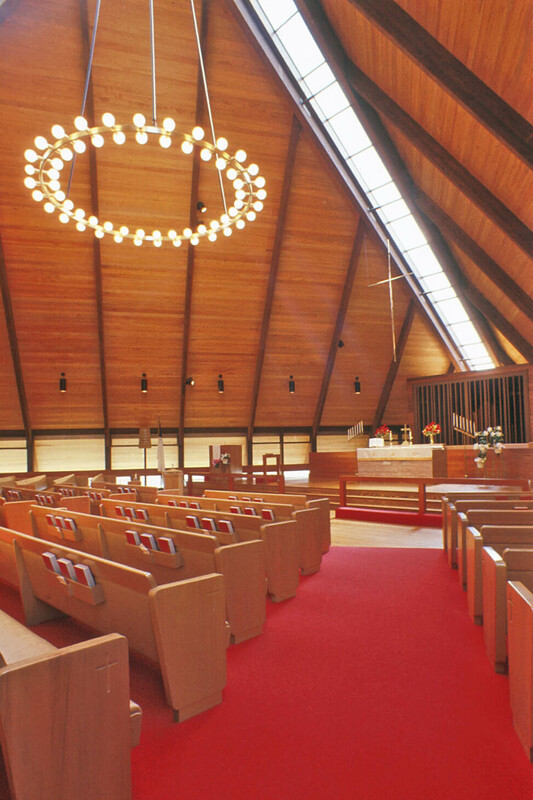 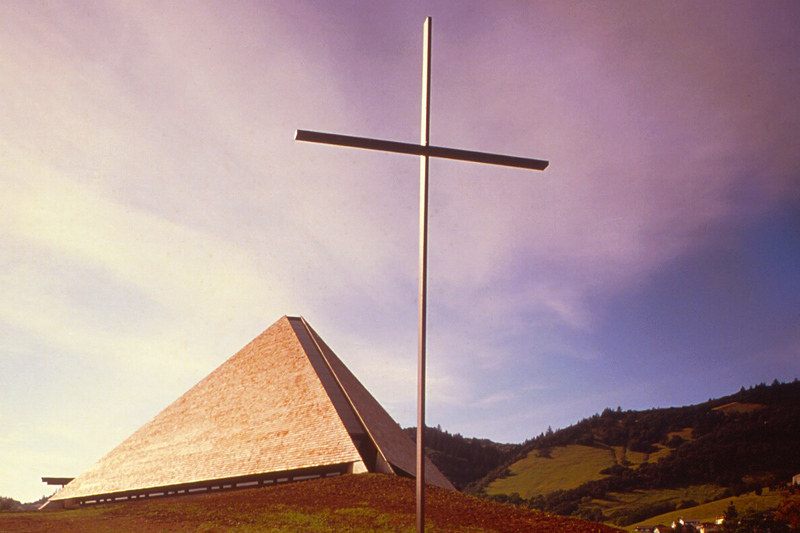 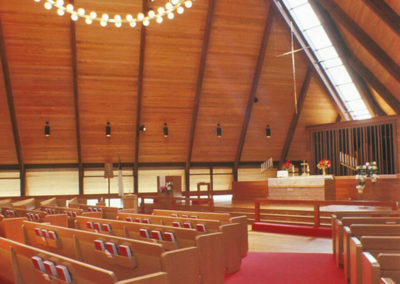 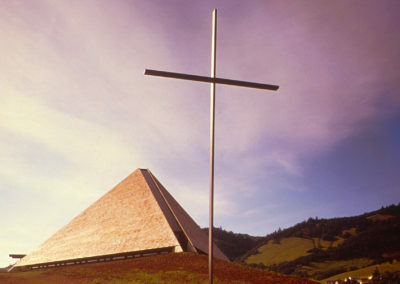 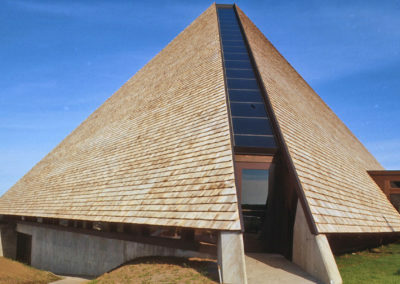 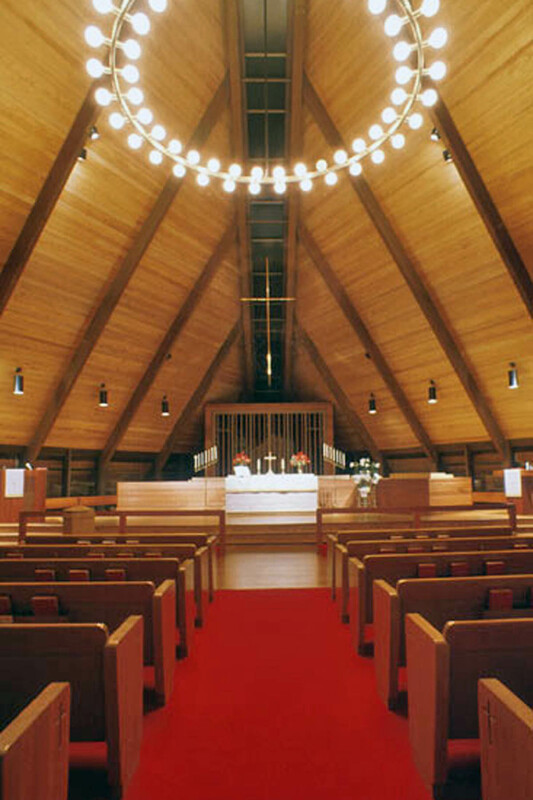 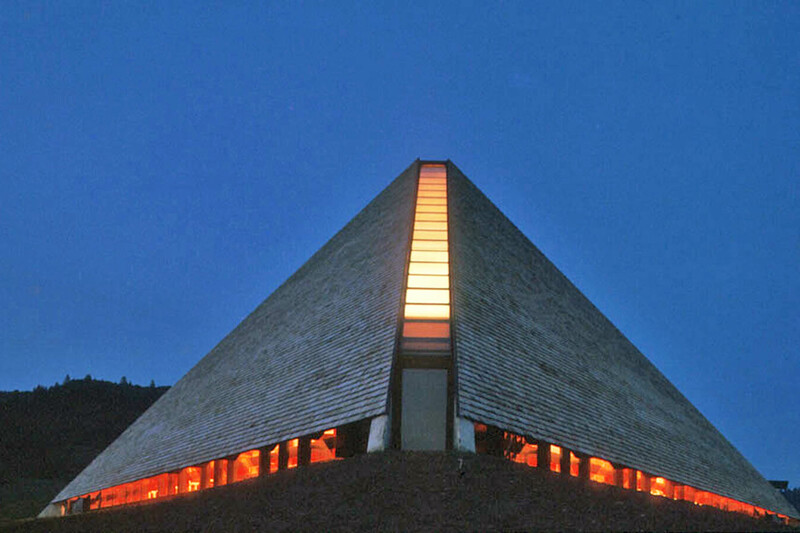 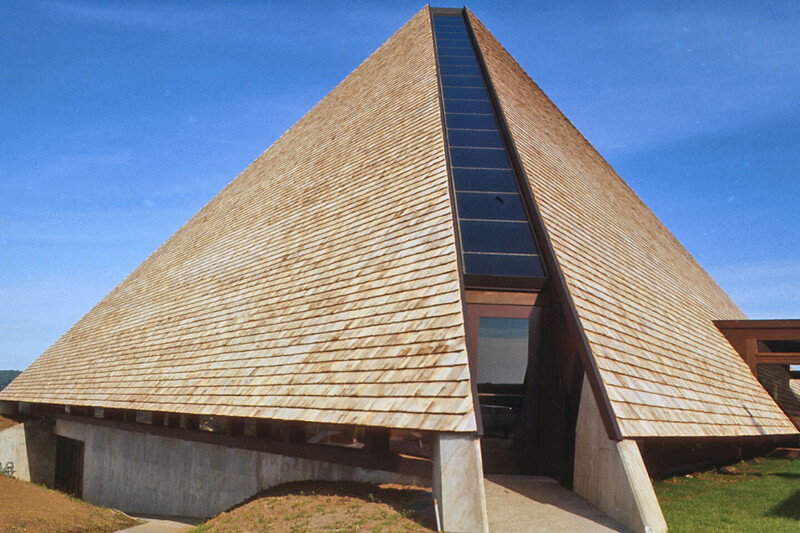 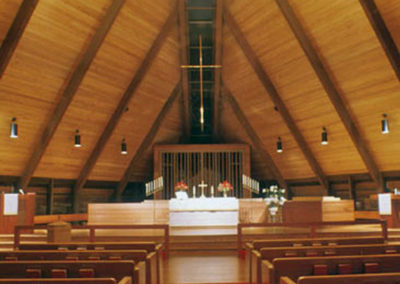 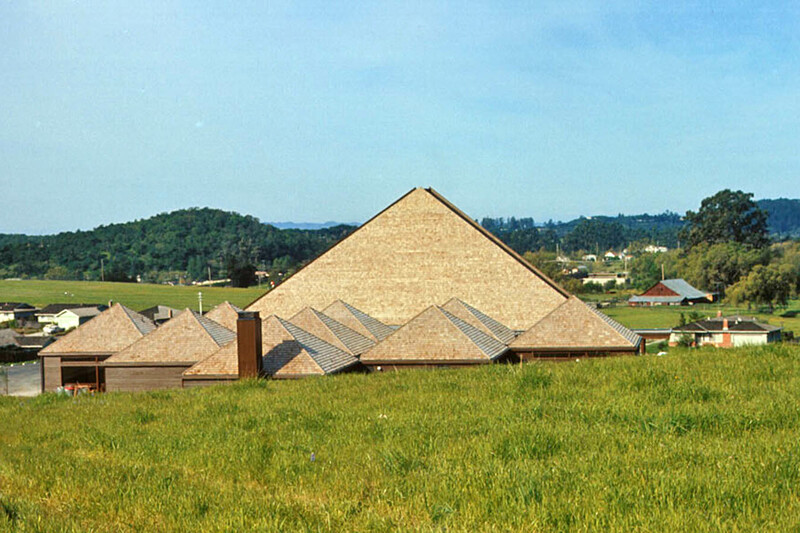 Located in the rolling hills of Santa Rosa, this iconic church building takes a pyramidal form making a bold architectural statement and creating a dramatic light-filled open worship space. 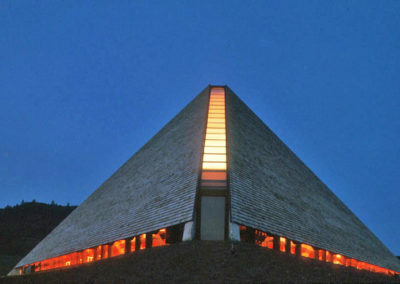 The pyramidal roof form is divided into three sections, separated by full length continuous skylight slots. 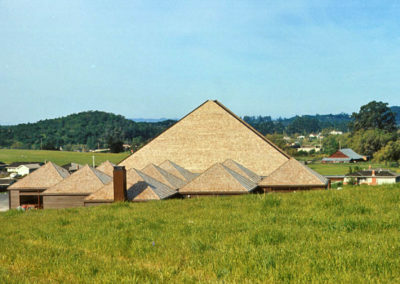 The building exterior is comprised primarily of the wood shingled roof that seems to float above a horizontal band of glass with its concrete base settled into a grassy knoll.